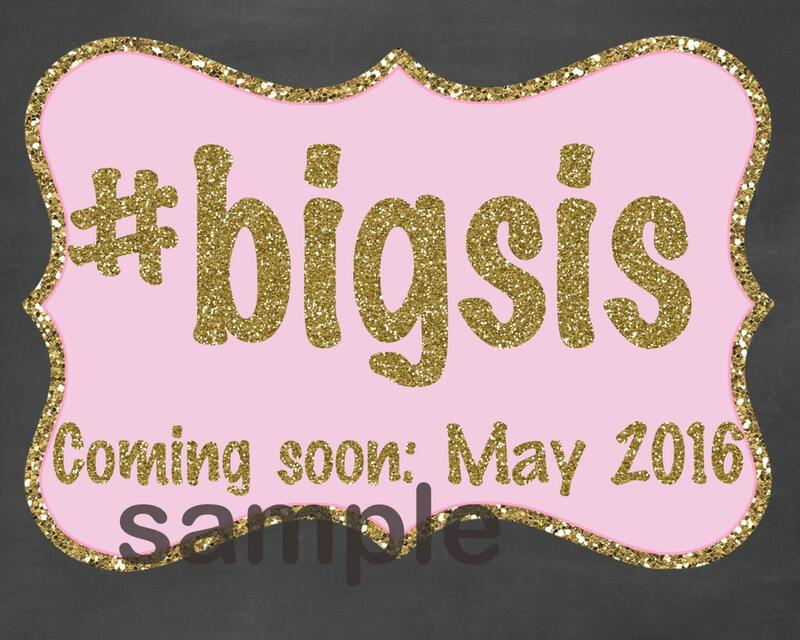 What better way to announce your pregnancy then with an adorable sign for your baby's new big sister?! This listing is for a DIGITAL file in jpeg format. The standard size of the board is 16x20, but the size can be customized so please specify your size. PLEASE NOTE NOTHING IS PHYSICALLY SHIPPED TO YOU. RECEIVING YOUR FILE - Since this listing is very straightforward, you will receive your final file within 24-36 hours. Nothing will be sent to a mailing address.